The share price of San Miguel Food and Beverage (SMFB) has gained as much as 96 percent this year from Php53 per share at the start of the year to as high as Php104 recently. The consistent rise of the stock, despite a weak stock market, was apparently fueled by speculations that its planned follow-on offering may be pegged at Php140 per share. 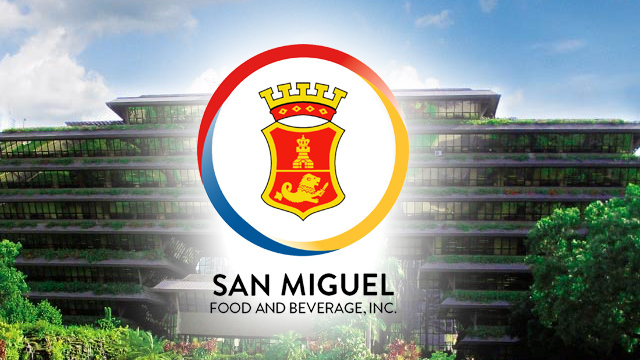 SMFB, formerly known as San Miguel Pure Foods, is the result of a three-way consolidation between San Miguel Brewery, Ginebra San Miguel and San Miguel Pure Foods. The enlarged market capitalization, which currently stands at roughly Php600 billion after the business combination, makes SMFB the largest food company in the Philippines. Share price of SMFB is expected to further increase in the next few weeks as the company prepares for its follow-on offering this coming October. A higher market price will allow SMFB to set its follow-on offering price at a good discount. What are the chances that the stock will trade higher amidst the prevailing negative sentiments in the market? What are the growth prospects of the company? What are the investing opportunities available from this offering? A follow-on offering (FOO) typically happens when a listed company issues new shares to the investing public, similar to an Initial Public Offering (IPO) to raise funds for expansion. But in the case of SMFB, the company is not selling new shares to raise capital. It is the parent company, San Miguel Corporation (SMC) that is selling its ownership shares in SMFB to the public. The proceeds that will be raised from the offering will not go to SMFB but to SMC since it is the selling shareholder. This follow-on offering came about as matter of compliance with PSE requirement that the minimum public ownership of any listed company must not fall below 10 percent. When the three companies of SMC were consolidated under SMFB under a series of share swap arrangements, SMC’s ownership in SMFB increased to 95.9 percent. This leaves public ownership at the moment in SMFB at only 4.1 percent. The follow-on offering will enable SMFB’s public ownership to increase to 21 percent, making the stock more liquid and tradable in the stock exchange. There are no details yet as to the amount of proceeds that will be expected from the follow-on offering since the final offer price has not yet been set. What has been disclosed in the preliminary prospectus is that SMC will sell up to 887 million shares, equivalent to 15 percent of total ownership in SMFB with an over-allotment option, in case of high demand, of up to 133 million shares. This brings a total of one billion shares, equivalent to 17 percent that SMC is willing to sell to the public. After the follow-on offering, SMC’s controlling ownership in SMFB will fall to about 79 percent. Earlier reports indicate that SMC is planning to sell its shares for an amount of up to Php143 billion. This would be the biggest secondary share offering in the history of the Philippine Stock Exchange if this ever happens. Assuming the target proceeds from the follow-on offering is Php143 billion, the resulting offering price shall be Php140 per share, which is 40 percent higher than share price of SMFB that is currently trading at less than Php100 per share. If market price of SMFB eventually would trade at target offer price, the market capitalization of SMFB would increase to Php827 billion, making it one of the top three biggest companies in the stock exchange. SMFB is the leading food and beverage company in the Philippines. About 87 percent of its revenues came from categories where the company is No. 1 in the market. Most of the brands by SMFB have dominant market positions with its San Miguel Beer brands having an aggregate market share of 92.7 percent. SMFB’s revenues are contributed by three business segments. The food segment contributes about 47 percent. This is followed by the beer and non-alcoholic beer segments that contribute about 44.5 percent, and eight percent from the spirits segments, which is engaged in the production of hard liquor. Total revenues of SMFB have been increasing by about 10.5 percent per year since 2015 while net income grew by an average of 25 percent. This year, SMFB’s first six month revenues grew by 15 percent to Php137 billion while net income increased by 20 percent. At the current share price of SMFB, the price-to-earnings ratio of the stock stands at 28 times compared to market average about 18 times. If offer price of Php140 per share does materialize, the prospective price-to-earnings ratio would be 41 times. With a growing economy that is driven mainly by consumption, there is no doubt that SMFB will continue to grow and strengthen its market leadership for its products. But the biggest growth will come from SMC, the parent company, which stands to gain as much as Php143 billion in fresh capital from the sale of its equity ownership in SMFB. Given SMC’s historical sales-to-equity ratio, the infusion of capital from follow-on offering will potentially generate additional sales of up to Php412 billion, which represents a 50-percent increase from its current sales level. SMC has transformed itself from a food and beverage company into a diversified conglomerate with investments in key industries in fuel and oil, energy and infrastructure over the past 10 years. SMC has recently proposed to build the $15-billion international airport project in Bulacan, which the National Economic Development Authority (NEDA) has initially approved subject to final review of the concession terms. SMFB will soon become part of the 30-stock PSE index given the size of its company and growth prospects. As a certified blue chip stock, SMFB will enjoy a following from institutional investors. If the target offer price is Php140 per share, the current share price at below Php100 per share will provide a huge upside opportunity because the market price must eventually trade above the follow-on offer price to be considered attractive. However, given the current market pessimism, there is a possibility that the final offer price may be lower than the expected Php140 per share. The stock price of SMC, on the other hand, has recently risen by 33 percent from Php135 per share last month to a high of Php180 per share. Given the vast growth potentials of SMC which will gain at least Php100 billion from the follow-on offering, long-term appreciation can easily double its share price. (Look) Amid Rising Inflation, Guess Which Expense Item Costs Less This Year?